Jeff is an avid volunteer. He volunteers in a care home and a store and also does administrative work for the Alliance for Equality of Blind Canadians (new window). Along with this, he volunteers as a bingo caller every week. Jeff is also a paraplegic. 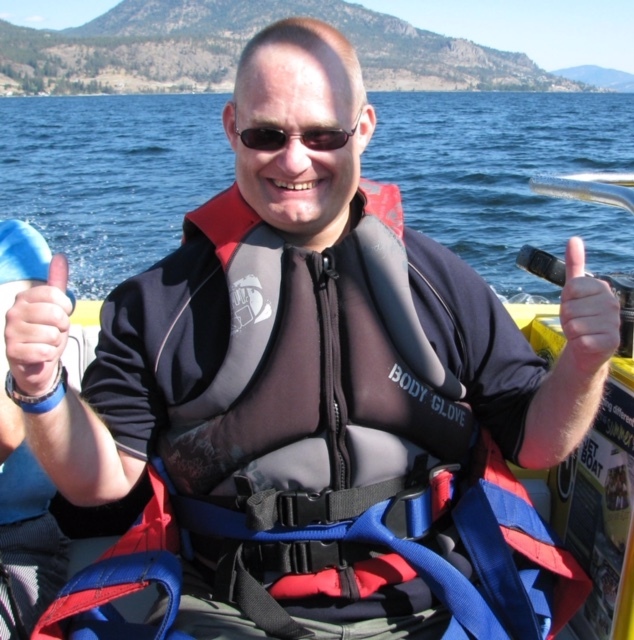 Jeff wanted to access Spinal Cord Injury BC (new window)’s (SCI BC) Virtual Peer Group events, which connect persons with spinal cord injuries and related disabilities in British Columbia. However, ergonomic issues made it difficult for Jeff to participate in the Virtual Peer Groups. “I have a MacBook Pro and I didn’t have a mouse for it. I have really bad problems with my hands: carpal tunnel and so on,” he explains. Through SCI BC, Jeff received a trackball mouse for more ergonomic use of his hands, along with the speech recognition program Dragon NaturallySpeaking (new window), so he could dictate to his computer instead of typing. Although this improved Jeff’s access, he still didn’t know how to use Dragon. “I didn’t know what exactly I was doing,” he says. SCI BC referred Jeff to the Neil Squire Society so he could receive tutoring in the software. That is how he began lessons with the Distance Computer Comfort program, which provides free computer, tablet, and smartphone tutoring via a virtual classroom. Jeff worked one-on-one with Distance Training Coordinator, Gordon Watt. Now, Jeff can easily access the Virtual Peer Groups hosted by SCI BC. Along with that, his new skills have come in handy while volunteering at the Alliance for Equality of Blind Canadians.